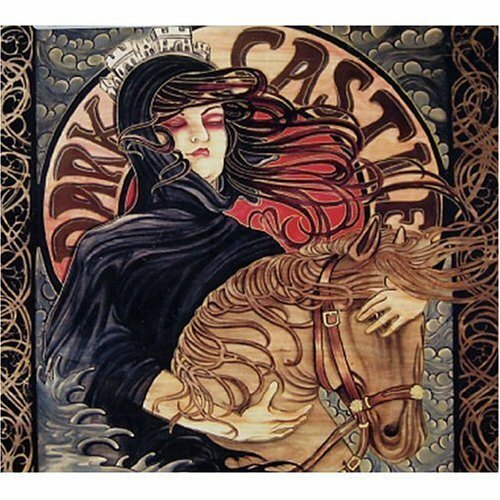 The Album Of The Week is "Spirited Migration" by Dark Castle. The City of Saint Augustine, Florida has the distinction of being the oldest city / port in the United States and the home of the duo Dark Castle. Dark Castle released an amazing demo entitled Flight of the Pegasus and have already played numerous shows all over the eastern half of the USA. Spirited Migration continues the metallic doom-psyche journey that Flight Of The Pegasus began. Guttural howls, towering volume, are broken-up with post-rock interludes. Exotic scales and haunting rhythms further pulls one in the atmosphere that Dark Castle creates for the listener. Recorded by Phillip Cope (Kylesa) and Mastered by Scott Hull. "When first hearing of the band, I was a bit skeptical because of the name. Then I noticed they were a duo with a woman on vocals/guitar and became intrigued. I enjoyed the “Flight of Pegasus” EP but eventually moved on and forgot about the band. I was excited to hear the new album and can say it will be hard to forget this group again. It seems they have been refining their sound and can be a reminder not to judge a band by its name. Their sound is so deep and menacing it just seems like there would have to be bass in the mix but Dark Castle pull it off without flaw. The tormented guttural vocals performed by Stevie and drummer Rob match the guitar tone and bring even more power to their thunderous sound. “Awake in Sleep“ draws the listener in with the droning doom of Sunn O))) before a riff turned blunt weapon is embedded in the skull. The opener is the most memorable track on the album. It captures the band’s use of balance between atmosphere and sheer ferocity. Stevie shows her skill with the strings on “Spirited Migration”, a Latin influenced interlude that brings to mind a sonic journey through the mind of a desert creature. The creative and versatile song writing style on this album is similar to Neurosis and Old Man Gloom. While taking influence from some of the more well know bands in the genre, Spirited Migration still offers ingenuity. The mystical guitar on “Weather the Storm” captivates the mind and projects a brooding storm on the rise into the mind of the listener. The structures for each song differ quite a bit but still allow the listener to feel the whole thing is well connected. I would recommend listening to it all the way through the first few times.